Turkey and the Netherlands are celebrating 400 years of diplomatic ties with a yearlong series of events, including an exhibition that draws parallels between the Dutch of the 17th century and the Turks of today. “Where Darkness Meets Light —Rembrandt and his Contemporaries: The Golden Age of Dutch Art” at the Sakip Sabanci Museum features masterpieces lent by the Rijksmuseum in Amsterdam and anonymous U.S. donors. Now the Dutch are grappling with the euro zone crisis andimmigration issues, but during the 1600s, the Netherlands’ booming economy gave rise to an expanded middle class whose merchants could finally afford to buy and commission works of art, an activity once the realm of nobility and religious leaders. With a fleet of ships bringing porcelain from China, tobacco from the Americas and silks from the Ottoman Empire, the Dutch middle class developed a taste for luxury goods, much as the newly wealthy in Turkey seek the latest in cars, clothes and technology. Art galleries are proliferating in Istanbul as investor interest mushrooms. 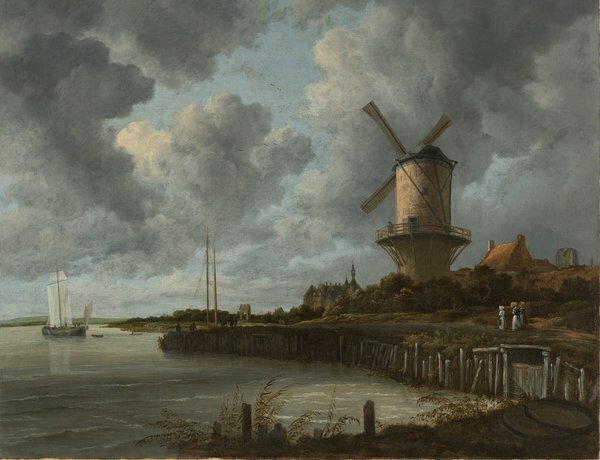 Pieter Roelofs, curator of 17th-century Dutch painting at the Rijksmuseum and the curator of the Sabanci exhibition, sees parallels with Amsterdam and Istanbul, a city reveling in its own Golden Age. “It’s interesting when you see all that is going on in Istanbul right now compared with when I was there for the first time 20 years ago as a backpacker,” he said recently by telephone as he worked on another Rembrandt exhibition in Prague. “It’s quite remarkable how the city has expanded, and with the energy you feel from its very talented young people and young artists, you feel that this city is really doing well.